Young Earth Creationism has been criticized for lacking a solid scientific basis. It also should be criticized for lacking a solid Biblical basis. Young Earth Creationists use Archbishop James Usher’s chronology to date the age of the Earth. They believe that the genealogies in Genesis 5 and 11 are chronological and can be used to estimate when God created the Earth. They calculate the earth's age at 6000 years on the basis of lifespans assigned to the men named in Genesis 5 and 11. They ignore the line of Cain in Genesis 4 because they assume that his line became extinct in Noah's flood. Biblical studies and discoveries in various sciences have left Usher's erroneous interpretation in the dust. Usher lived before the development of molecular genealogy which has shed much light on human origins, and especially on the dispersion of the ancient Nilotes and Kushites. He also lived before the development of kinship analysis which makes verification of the Genesis King Lists possible. It can no longer be claimed that these rulers did not live in history. 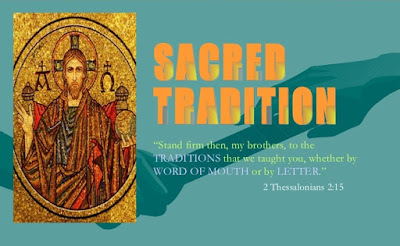 Their marriage and ascendancy pattern is authentic and can be traced from Genesis 4 to the New Testament records of Mary and Joseph's families. It is not possible that this aspect of Biblical history could have been written back into the texts since the 66 books of the Bible represent the contributions of numerous scribes and authors over about 1200 years. Usher's scheme is terribly flawed. He failed to recognize that the so-called "genealogies" are actually King Lists. These lists are not generational, but regnal, and the reigns of some kings coincided. Tubal-Cain (Gen. 4) and Methuselah (Gen. 5) ruled at the same time. Tubal-Cain's sister, Naamah, married Methuselah. (See diagram below.) This is an example of how people abuse Biblical lists. Usher also missed the fact that the lines of Cain and Seth intermarried, and as St. John Chrysostom recognized, the line of Cain received great mercy. Not only 7 fold for Cain, but 77 fold for Lamech the Elder (Gen. 4:24), and 777 in the case of Lamech the Younger (Gen. 5:31). 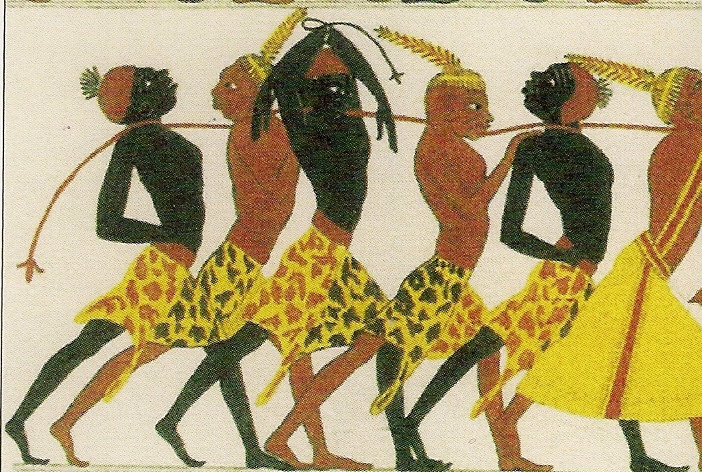 Further, these men are not the first humans on earth, but rulers of the Afro-Asiatic Dominion. They were kingdom builders, like Nimrod the Kushite (Gen. 10:8). 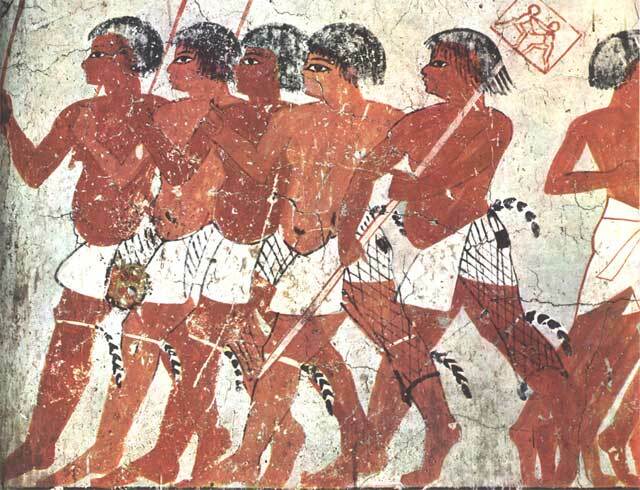 This was a time of law codes such at the Law of Tehut, warriors, weapons, shrine cities such as Nekhen in Sudan, and numerous technologies associated with the Neolithic Period. These earliest rulers of Genesis lived between 6000 and 3000 B.C., millions of years after the appearance of archaic humans. The evidence of the Bible and the various sciences indicates that they lived in Africa or migrated out of Africa. This last fact reveals the un-biblical and racist nature of YEC dogma. At the back of YEC books one finds the 12 Affirmations and Denials. Affirmation XII claims that the diversity of languages and skin color came about as a result of divine judgment at the Tower of Babel. Usher's errors reflect ignorance of the marriage and ascendancy structure of Abraham's ancestors as it is revealed in Genesis 4, 5 and 11. This same pattern characterizes Moses' family and Samuel's family. It is the distinctive pattern of the ancient Habiru (Hebrew), a caste of ruler-priests. Ussher did not understand that the rulers listed had two wives so there were two first born sons. The first born son of the half-sister wife was heir to his father's throne. So Isaac was heir to Abraham's territory between Hebron and Beersheba. The first born son of the patrilineal cousin wife was named after his maternal grandfather and served as a prime minister in his grandfather's territory. So Joktan, Abraham's first born son by Keturah, was not Abraham's heir. He would rule in the territory of Joktan the Elder. Judah likely had two wives. In Genesis 46, we read that Judah went into Egypt with his brothers and presumably settled in the land of Goshen with his wife and children. In Genesis 38, we read that Judah had sons by Shua who lived in the region of Adulla, Mareshah and Chezib in Horite territory. Some lists provide the names of the first born sons of half-sister brides. Other lines are traced through the cousin bride who named her first born son after her father. This is the case with Methuselah's wife, Naamah, who named their first born son "Lamech" after her father (see bottom of diagram). Let us examine in greater detail the problems with Ussher's scheme. Ussher did not recognize that the Genesis genealogies are regnal, not generational. They cannot be used to count generations because they are king lists and some kings ruled simultaneously. Others ruled for short periods, and still others ruled for longer than a generation (40 years). Usher insisted on reading Genesis as chronology, and therefore missed that some rulers were contemporaries. Lamech the Elder was a contemporary of Enoch, Methuselah's father. Abraham was a contemporary of Job. Nahor's son Tahash was a contemporary of Isaac. Ussher did not recognize that some of the Biblical lists are telescopic. Telescopic lists leave out some names. Such lists give the names of only the most famous rulers. This means that we cannot use the king lists to date the earth. Ussher ignored the later king lists, such as the Horite rulers in Genesis 36 and their royal kinsmen in Genesis 22:20-24. 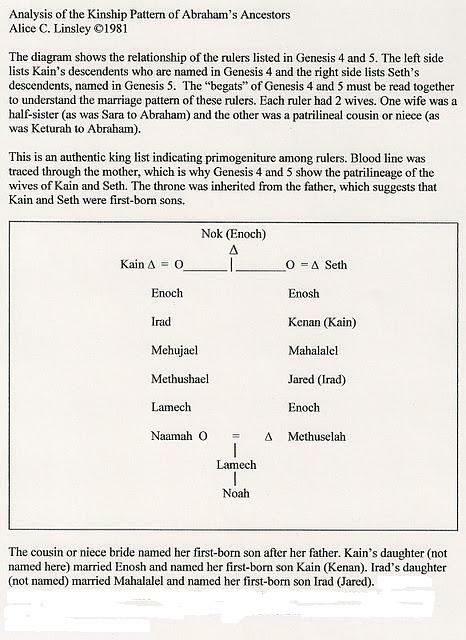 Here we find the identical marriage and ascendancy pattern as among the Genesis 4 and 5 rulers. Ussher did not recognize that the lines of Cain and Seth intermarried, as did the lines of Ham and Shem and the lines of Abraham and Nahor. Each ruler had two wives. The cousin bride named her first born son after her father. Thus we find Esau the elder and Esau the Younger, Joktan the Elder and Joktan the Younger, Kenan is a variant of Kain, and could be called Cain the Younger. Likewise, Irad is a variant of Jared and could be called Jared the Younger. In the case of Lamech's daughter, Naamah, the pattern is quite clear. She married her cousin Methuselah and named her first-born son Lamech after her father. This pattern of marriage can be traced from Genesis 4 and 5 to the lines of Joseph and Mary in the New Testament, demonstrating that Jesus is a direct descendant of the people to whom God made the first promise of the Bible that a woman of their ruler-priest lines would bring forth the "Seed" of God (Gen. 3:15). Ussher didn't know about the cousin bride's naming prerogative which meant that the cousin bride's father and her first born son had the same name. This explains the recurrance of names skipping a generation. There are two named Enoch; two named Lamech; two named Joktan, and two named Sheba. There are also two named Esau, as shown below. Here we see that Esau the Elder married Adah. Esau the Younger married Oholibamah, a prefigurement of the Virgin Mary. Seir is identified as a Horite in Genesis 36. The names Esau, Dishon, Uz, Lot/Lotan and Timna are Horite names. The name "Adah" can be traced back to Lamech the Elder. One of his wives was named Adah (Gen. 4:23). You have done a lot of study/work on Genesis. Hi Alice - isn't it true that the Byzantines assigned a similar date to the earth, along with many Church Fathers? Would you consider them YEC? Thanks. The Church Fathers generally understood Cain to be born of Eve and therefore tended toward a young earth view. However, not all were biblical literalists when it came to the 6 days of creation. See St.Augustine, for example. They also recognized that Cain and Seth were not likely the first people of earth as they were city builders and had metal work and other Neolithic technologies. Since visiting your blog (both of them), I'm already overwhelmed by a bunch of information I've never heard before. I've never heard anyone say that those genealogies are actually King Lists. But you've obviously put a lot of study and effort into this ... Something which sadly seems lacking in much of the YEC articles I've read! If you wouldn't mind I would love to have your email address so I could discuss some of these Bible topics more easily with you. Or if you don't want to do that perhaps you could recommend some literature that talks more about this? I find it all very fascinating! I've been pioneering the field of Biblical Anthropology for 30+ years. I encourage you to use the INDEX to pursue articles that interest you. Both Just Genesis and Biblical Anthropology have an INDEX with topics arranged alphabetically. You lost me at the point where you called YECers "racists", which is the default response of a Leftist Liberal to anyone who disagrees with them. Incidentally the 'out of Africa' theory was proven false even before you published this article. At the back of Young Earth Creationist books such as Coming to Grips with Genesis: Biblical Authority and the Age of the Earth by Terry Mortenson, one finds the 12 Affirmations and Denials. Affirmation XII claims that the diversity of languages and skin color came about as a result of divine judgment at the Tower of Babel. This is the easiest of the Young Earth Creationist claims to refute since the evidence of many languages and skin colors before the time of the Tower of Babel is overwhelming and cannot be denied by reasonable persons. The spread of common written marks in caves across Europe, Africa, and the Near East, is an example. Other examples involve genetic groups such as the R1b haplogroup, studies of phoneme variance among them. Both phoneme studies and genetics identify Africa as the point of origin of humans and modern languages. These dispersed peoples had a range of skin color and languages and they were already widely dispersed before the time of Noah and his 3 sons. According to the Bible, the Garden of Eden, where God created Adam and Eve and tasked them to care for it, was located in the Middle East around the areas of Iraq and Syria. How could modern humans who descend from Adam and Eve have come out of Africa? The out of Africa theory has been proven wrong and is not Biblical. Paula, read Genesis 2. Here we find that Eden extended from the Pishon and Gihon rivers at the source of the Nile in the highlands of Ethiopia. In Genesis 10 we read that Nimrod was a son of Kush. Kush is also in the Upper Nile.